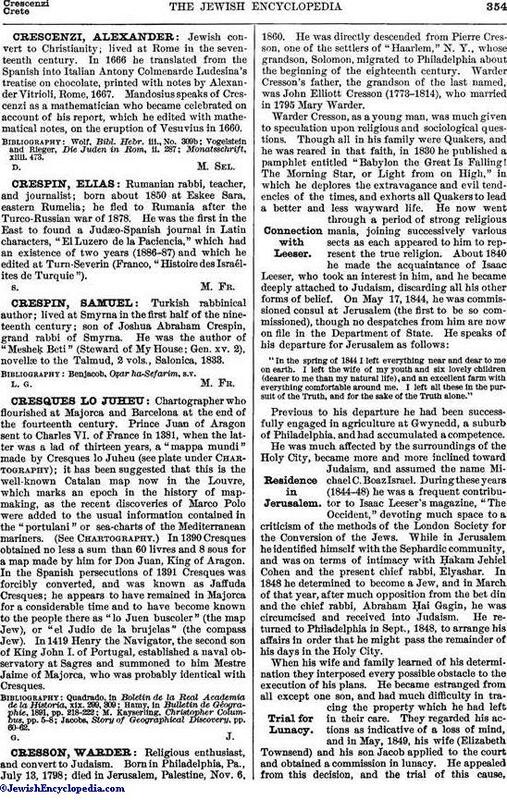 Jewish convert to Christianity; lived at Rome in the seventeenth century. In 1666 he translated from the Spanish into Italian Antony Colmenarde Ludesina's treatise on chocolate, printed with notes by Alexander Vitrioli, Rome, 1667. Mandosius speaks of Crescenzi as a mathematician who became celebrated on account of his report, which he edited with mathematical notes, on the eruption of Vesuvius in 1660.